Previous: Are These The Top 5 Universities Producing Nigerian Rappers? Of the diverse music genres in existence, hip-hop is perhaps the most competitive and tightly contested. Unlike genres like pop and alternative music where album sales, stream numbers and Instagram following are the talking points; rappers take everything for bragging rights including how much hoes they got and how often they break the law – the regular gangster life. But since the likes of Jay-Z and Kanye laid the blue print; rappers are now about impact & legacy. That’s why the most impactful rappers are the leaders of the pack, today. While other standards speak of top 10s, hip-hoppers talk top 5. 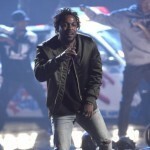 Kendrick Lamar: Who is the face of hip-hop today? Most people would mention Kendrick Lamar. The 30-year old Compton-bred rapper signed to Top Dawg Entertainment (TDE), enjoys the rare achievement of both critical and commercial success that makes people dub him a legend in the making. With his Shakespearean lyricism and flow limber like that of Nas, Kendrick makes socially conscious music that touches on injustice, racism and black empowerment. His 15 year-long professional career has produced a horde of singles, mixtapes and 4 studio albums. His most recent album ‘DAMN.’ was described as a widescreen masterpiece of rap. And asides the impact of his music, he is perhaps the most decorated new age rapper since ‘Ye. 12 Grammy awards in 3 years is the kind of report card only the best rapper can carry around. If hip-hop was a concert, then Kendrick is the headlining artiste that everyone wants to see. 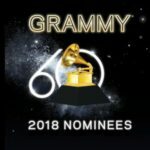 J. Cole: Using accolades like The Grammy Awards as yardstick, J. Cole might not even make this list. He never really gets the awards but he is just as impactful and good a rapper as Kendrick is. That’s why he’s often referred to as one of the most underrated rappers of his generation. Ironically, some section of the hip-hop audience think J. Cole is overrated. Without the sales number of Drake and the accolades of Kendrick, non-J. Cole fans wonder why he is rated so highly but his music speaks for him. The 33-year-old rapper has 5 critically acclaimed studio albums, 2 well-received mixtapes and 1 EP that some other rappers would be happy to call an album. Cole’s style of music is similar to that of his mentor, Jay-Z whose sage-styled rap music is considered vintage. He is building a legacy of his own with the establishment of Dreamville Records that serves as a platform for younger rappers like Bas and Coz to come up. J. Cole has a friendly history with Africa, having performed at the Big Brother Africa 7 opening ceremony on May 6, 2012, alongside Camp Mulla, P-Square, Naeto C, Flavour N’abania and Davido. 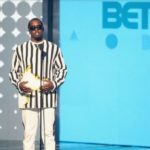 Recently, he was in Lagos, Nigeria as the headliner for the Castle Lite Unlock Concert where he performed songs from his then spank and fresh album KOD – an album that broke multiple stream records including that of Drake and Taylor Swift. 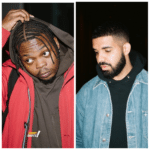 Drake: The term ‘Kendricks, Coles, Drakes’ is popular in hip-hop circles and it alludes to the genre being a three-horse race with K. Lamar, J. Cole and Drake being the leaders. While hip-hop faithfuls have no problem with the rap style of his contemporaries, Drake has been repeatedly attacked for his pop style of rap but he has managed to own it and turned it into a thing of pride. His pop style rap music has made him the best selling rap artist with album sales and stream numbers that has made him the envy of even pop artists. He holds the record for the most debuting entries on a Hot 100 chart by any artist, with 21 entries. With 5 (+ Scorpion) studio albums, 3 mixtapes, 1 collaborative mixtape, 1 EP, 1 playlist, tonnes of singles and collaborations; Drake’s repertoire of music is enough for an entire rap career but Drake is aiming for the G.O.A.T status. Chance The Rapper: The revolutionist character of Chance The Rapper is perhaps his most appreciated feature, then his music comes next, at least for majority of core hip-hop fans who usually would prefer Kendrick’s electrifying rap or Drake’s pop rap to Chance’s rap music which generally contains jazz-inspired melodies and gospel influences. The Chicago-born rapper has made a mark on the game and across the global music community in his 7 year-long career (s0 far). He changed the rules of awards as regards considering free music projects for awards and recognition. He is one of the reasons why Sound cloud, a free music streaming platform which gives opportunity and hope to millions of aspiring musicians across the globe, is still active today. With 3 well received mix tapes and an album that dominated the rap section of the 2017 Grammy Awards, Chance The Rapper is one of the leaders of new school rap. Logic: Yeah, you heard me right. Logic! 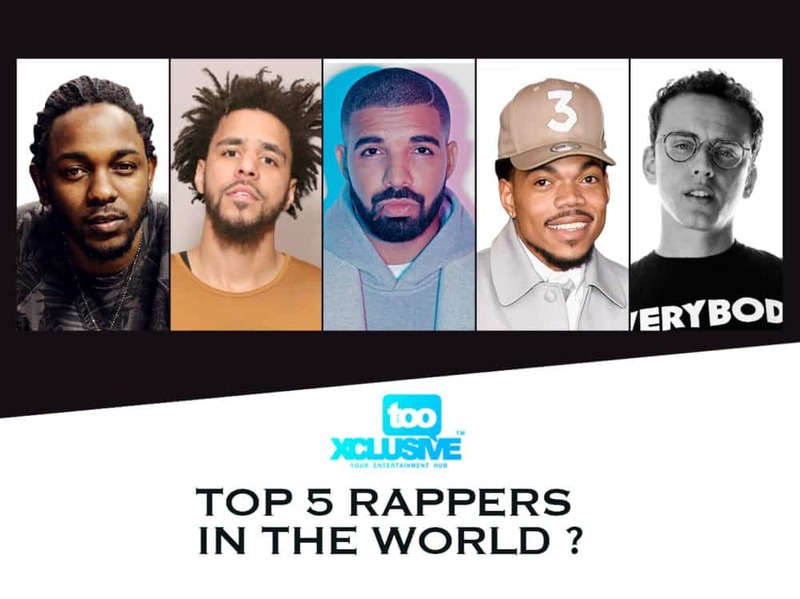 The US rapper is one of the most acclaimed rappers in the world today, although not as popular as the others on this list and even some other rappers who didn’t make the list. That can be attributed to his private life style but he is just as tight as anybody of this list. 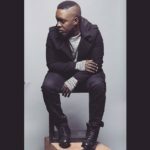 His music is perhaps one of the most socially conscious, as it addresses pertinent issues relating to drug abuse, suicide and more. While these aren’t exactly the topics that sells in rap these days, Logic is still one of the few rappers who can rap against hedonism and still manage to top charts. His 2017 album Everybody, debuted at number one on the US Billboard 200 with impressive number of sales. The album also set the record for largest second week drop of all time. Its lead single artistically titled 1-800-273-8255, was more than just a song, it saved lives, figuratively. It was thoughtfully created in association with the National Suicide Prevention Lifeline and became a source of hope and encouragement to people battling suicidal thoughts. The title is said to be a suicide crisis line (imagine such ingenuity). Interestingly, it was certified triple platinum by the RIAA. With 7 mix tapes and 3 highly-valued albums to his credit; Logic is no doubt in the class of first-rate rappers of the current generation. Love Cole and K.dot, there work is way ahead of Drake in terms of rap!! Where will you put Eminem? Without Eminem on the list, the list is trash….. not accepted..